The sensor on the EVO-Z is wax-filled and the wax volume varies according to ambient temperature. 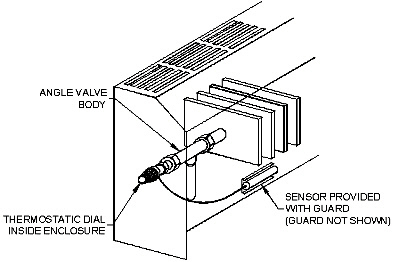 The volume changes are transmitted to the valve stem via a liquid capillary system. The valve body has a return spring which closes the valve when the stem is under low pressure. When the force from the sensor and the return spring are balanced to the room temperature selected, the valve disc stops in that position to allow a certain amount of water or steam to flow through the valve. 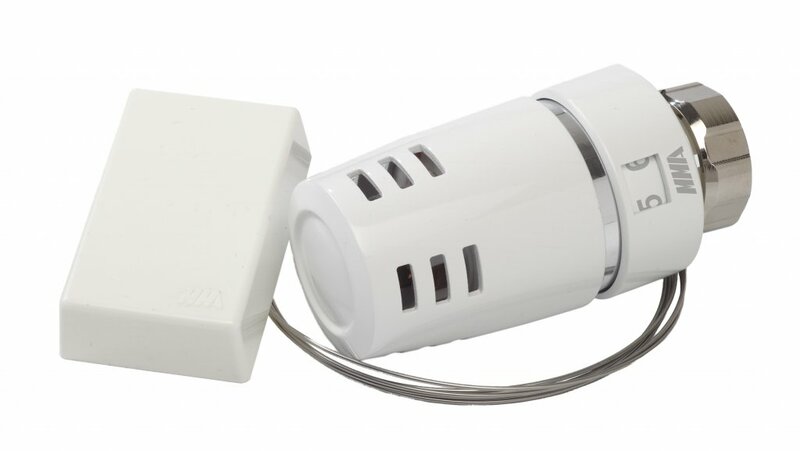 Ambient temperature changes cause the valve disc to change position and thereby continuously modulate the flow so that the room temperature is maintained at the desired temperature. The unit is secured against damage from over-pressure by a built-in pressure absorbing spring. All Macon valves and thermostats conform to ASHRAE Standard 102P-1983 and European Standard EN 215/1215. We are also ISO 9001 certified (2002) and ISO 14001 certified (2002). 4. Set the required temperature according to the chart below.